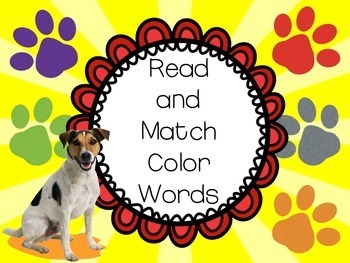 Read and Match Color Words with Paw Prints! 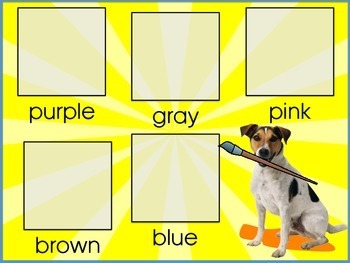 This full-color resource can be used in literacy centers, in pre-school settings, or in special education settings! 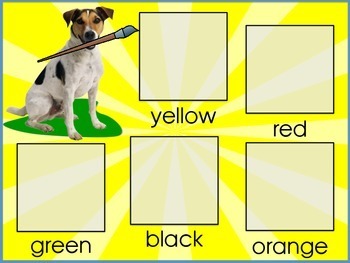 Just match the correct color paw print to the space on the two-page mat provided! 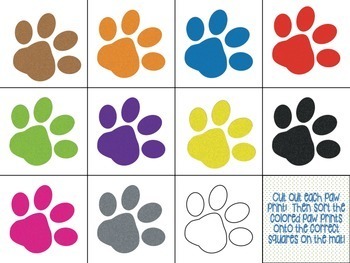 Two different versions of the paw prints are included - a version without the names of their colors on the paw prints, and a version with the names of their colors on the paw prints!